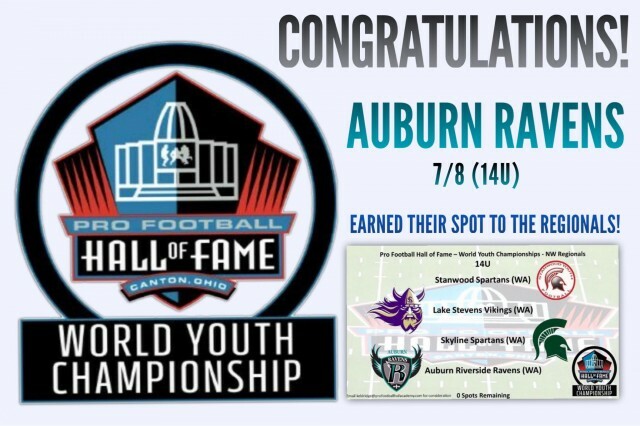 Auburn Ravens 7/8 Invited to HOF National Youth Football Championships! A Huge Congratulations to our Ravens 7/8th squad for their selection to the Pro Football Hall Of World Youth Football Championships NW Regionals!! Only 4 teams from that Division gets selected out of the whole state to represent WA! A huge honor to be recognized at the State and National level!